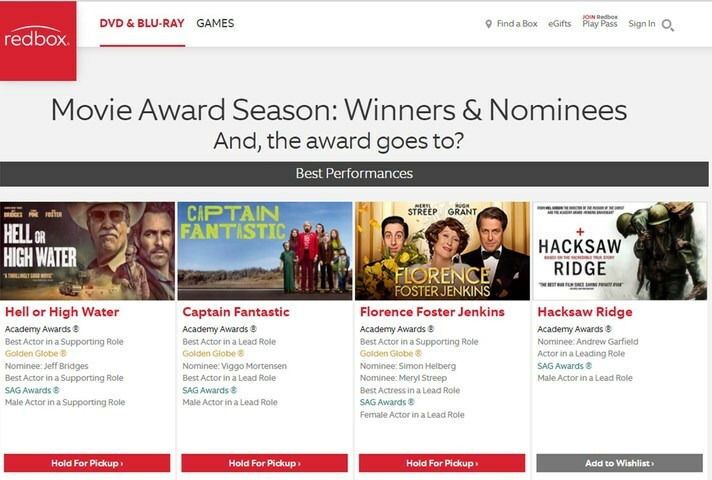 For the first time, the Movie Experts at Redbox, America’s destination for affordable new-release movie and game rentals, today shared tips for predicting the winners on OSCAR NIGHT®. The Movie Experts—Lori Flynn, VP of Content; Eric Litynski, Director of Purchasing; and Joe Killian, Director of Purchasing—have racked up 75 years’ combined experience in the movie industry. They’ve watched, critiqued and often enjoyed well over 15,000 movies in their lifetimes. To rent any of this season’s ACADEMY AWARD®, Golden Globe® and other award nominees for as low as $1.50 a night, visit: www.Redbox.com/2017-Award-Season. To contact a Redbox media representative about this release, please visit http://about.redbox.com/contact. Academy Award®, OSCAR® and OSCAR NIGHT® are registered trademarks and service marks of the Academy of Motion Picture Arts and Sciences. Neither Redbox nor this press release are endorsed, sponsored by or affiliated with the Academy of Motion Picture Arts and Sciences.